Everyone Can Experience The Benefits of Living a Healthy Lifestyle! Exercise was not in Raini’s vocabulary. She was not athletic growing up and instead enjoyed reading and being a musician. Her father was an exercise enthusiast (to say the least!) and Raini never understood why! In her early 50’s she decided to train for a triathlon. If it didn’t work out that was no big deal, she just wanted to make some new friends. She never thought she would continue with any form of exercise. Well, she never imagined what would happen next, she got hooked! Raini reached out to UpGrade Lifestyle because she wanted to get stronger and healthier. Jill Baulieu and the team at UpGrade helped her get started with weekly strength training sessions, a customized nutrition plan and a monthly multi-sport training calendar. Soon she found her weight, blood pressure, and cholesterol were down. At her company’s annual assessment, she had the best numbers ever! She was excited to wear clothes from the back of her closet that didn’t fit the last couple of years. Her journey as an athlete continued with leaps and bounds! A bit of her Father’s enthusiasm showed up as she got stronger and very determined to complete challenging endurance events. 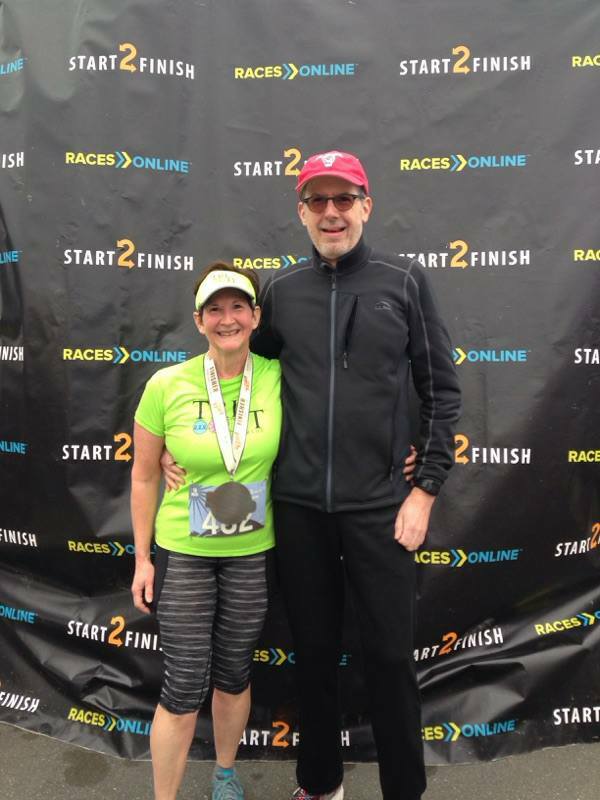 Raini has now completed many triathlons including Ironman NC 70.3 and Lake Logan 70.3 as well as the famed 50-mile bike ride, Blood, Sweat & Gears! She keeps up with her monthly training plans because she feels so good and does not want to revert back to her unhealthy self. She never thought she would enjoy running but looks forward to Megan’s run class which helps with speed and stamina. Raini also enjoys practicing yoga after a high energy Computrainer class. Her lifestyle has completely changed and thank goodness her husband, Chuck, was up for the challenges! Chuck trains with Raini and has competed in relay triathlons, running and bike races and is even getting in the pool! Regular exercise by following a monthly training plan has created healthy habits which have them eating well, having fun, and feeling happy with lots of energy. They need all this energy as they are now training for a very challenging hiking trip in Patagonia. Raini did make the new friends she was hoping for and a new lifestyle she did not expect. Raini and Chuck plan on staying the course with their healthy lifestyle regime. They will continue to find fun events to conquer with friends while exploring new places. Staying healthy, fit and happy is a top priority for Raini and Chuck. Raini is in the best shape of her life which is amazing as she gets closer to 60. For Raini, 60 will be the new 50 for sure! Parents of student athletes often find themselves in a balancing act of getting the kids to practice on time and making sure their grades and social lives don’t suffer because of their sport. But there’s one factor that might be getting overlooked: nutrition. Dashing back and forth to practices and hitting the road for games could mean lots of trips to fast food restaurants or worse — skipping meals altogether. We asked registered dietitian and personal trainer Megan Hovis with Upgrade Lifestyle Inc. how to know when we may need to see a dietitian for our student athlete, and for some nutrition plans we can use for our mini-sports stars (and ourselves). HOW DO I KNOW MY STUDENT ATHLETE MAY NEED TO SEE A DIETITIAN? Watch for behavioral changes, says Megan, who’s been working in the business for 11 years. If your middle school student athlete has no energy for soccer practice or seems to be having trouble concentrating at school, a poor diet could be to blame. Megan said many high school student athlete eats a tiny breakfast (or none at all) followed by a small lunch at school, and then come home ravenous. That spells trouble for blood sugar levels, which can cause behavioral and concentration issues as well. You should also watch for bodily changes like weight loss. Student athletes are burning a huge amount of calories, and their diet needs to be packed with nutrients they’re using up on the field. If your high school athlete is heading off to play at college soon, you might want to meet with a dietitian as well. Megan said many of her clients are college freshmen who need help transitioning to making healthy choices now that they’re buying food on their own (and navigating the health food minefield known as the dining hall). Megan said in extreme cases, poor diet could cause injury, such as a stress fracture in a female lacrosse player who isn’t getting enough iron. WHAT WILL A DIETITIAN DO FOR MY STUDENT ATHLETE? In addition to determining the obvious — weight, height, sports played, issues, etc., — Megan starts by asking students all their dietary restrictions, allergies, likes and dislikes. There’s no point in creating a nutrition plan that includes eggs for breakfast if you kid won’t even touch them. She also takes into account your family’s schedule and takes specific notes on how much your child is eating and drinking already. Then she’ll look for “holes” or missing nutrients and create a nutrition plan with five-to-10 options for breakfast, lunch, dinner and snack. “I start from scratch with every client,” she said. “It’s very individualized to them so they have some say in the plan.” The plan will likely be applicable to the rest of the family as well, and may even inspire everyone to eat a little healthier. “A change in student athlete’s nutrition can benefit the whole family,” Megan said. She also provides dining out guides for those times you have to hit the drive-thru after practice or when the team bus pulls up at a fast food restaurant on the way to a game. • Get enough calcium into the diet to support proper growth. Foods such as yogurt, milk, cheese, cottage cheese, homemade smoothies and calcium-fortified foods are good options for young students. Tip: Try to hit 1,300 mg of calcium per day. • Eat the rainbow. It’s important to eat a variety of different fruits and vegetables to ensure that your student is taking in enough vitamins and minerals. If they stick to the same few foods (apples, baby carrots, etc.) they will still be missing out on other important nutrients. Tip: Look for deep, dark color in the produce you purchase. • Have a healthy relationship with food. Middle school is a critical age for preventing eating disorders and poor food habits. The more the parents can set a good example of well-balanced eating, the better it is for the student. Tip: Stay away from words like “diet” and “good or bad” foods. Instead try and provide healthy balanced meals with treats in moderation. • Never skip breakfast. No matter how tired, late, or “not hungry” they are, there is no excuse to miss breakfast. It jump starts their metabolism and starts the engine running so you can be “on” for the rest of the day. According to the USDA, caloric intake per day for middle school boys is ~ 1,800 (for sedentary students) 2,200 (for moderately active) and up to 2,600 for very active students. Sedentary girls need ~1,400, moderately active students need ~1,800 and very active girls need up to 2,200. Note: Every student athlete is different. The numbers above are general but each student has a certain set of needs based on height, weight, activity level etc. (that’s where a dietitian can help you). 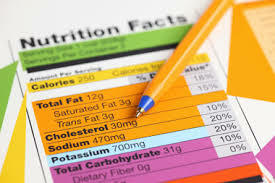 Nutrient needs vary drastically in teenagers depending on their gender, height, weight,and activity level In general, most students need at least 1,500-2,000 calories per day. Very athletic students need 2, 000-3,000+ calories. One of the biggest misconceptions about becoming a better athlete is that you need to solely focus on building speed, stamina and endurance rather than strength and core work. In fact, if an athlete wants to achieve optimal performance, a strong core is imperative. Not only does it help prevent injury, a strong core can greatly improve your form, allowing you to increase speed, stamina, endurance and efficiency. Core strength for all athletes is especially important. As you near the end of a race or event, when you are especially fatigued, your form may be compromised. This will not only decrease your pace and efficiency, it may open the door to potential injuries. Often athletes experience lower back ache, hip and joint pain. A routine that includes building up core strength will help to maintain good posture, and reduce the pains and potential injuries that result from poor posture. Having a strong core will set you up for athletic success. Take the time and energy to make it happen! 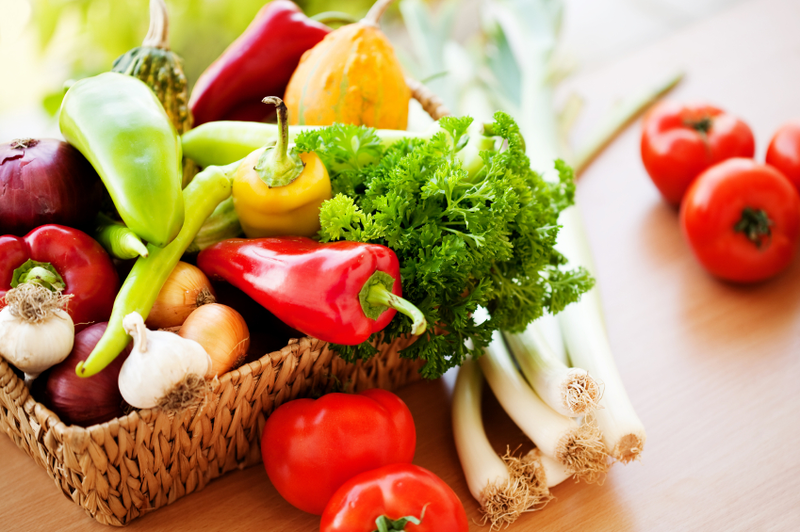 The most important ingredient to living a healthy lifestyle begins with a Healthy and Balanced Nutrition Routine. 2. Motivation: what is it that makes you want to be the healthiest you can be? Find your motivation. 3. Empowerment: this is when you are consistently making the healthiest decisions and you are able to help inspire others. 1. Quality: making sure you are choosing lean protein, low sugar carbohydrate or gluten free, light dairy or no dairy if lactose intolerant, low saturated fat items. 2. Quantity: generally speaking, keep snacks below 300 cal and meals below 600 cal. 3. Timing: do not go too long without eating; keep your metabolism active! Are you Ready to Hire a Personal Trainer? Answer the 7 questions below to see if you are a good candidate for Personal Training. If you answer YES to many or all, contact us and we will schedule you in for a consultation. A Personal Trainer will review your health history, current schedule and health goals in order to create effective workouts. A Personal Trainer will make sure your schedule is balanced, safe and efficient to maximize your time and achieve optimal results. A Personal Trainer will add variety to your training and will challenge your body and mind with new exercises and equipment too. A Personal Trainer will hold you accountable to show up; you will be investing your money and time. Standing appointments are important to keep you focused and on task. A Personal Trainer will educate you on which muscles are engaged while practicing excellent form in the process. A Personal Trainer will help motivate you to push past your self-imposed limits with creative workouts. 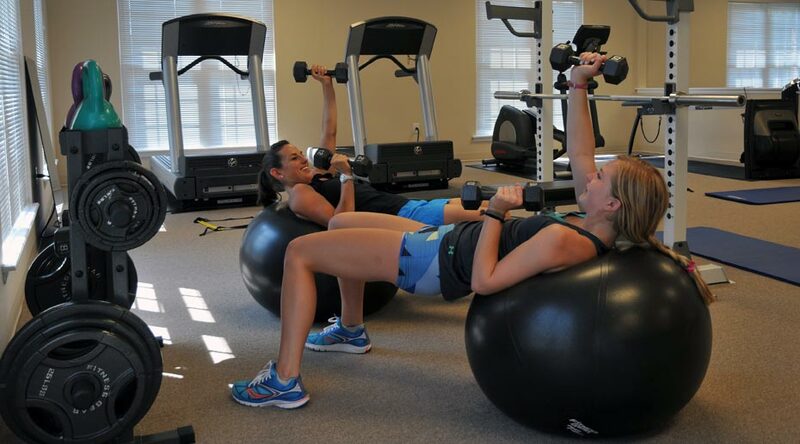 A Personal Trainer will design a training plan with detailed workouts to ensure you are well prepared for the event. Wherever you are in your health journey, a Personal Trainer will help to Educate, Motivate and Empower you to live a healthier, more active lifestyle. Contact us at UpGrade Lifestyle if you are ready to take the next step…Huntersville & Charlotte locations.